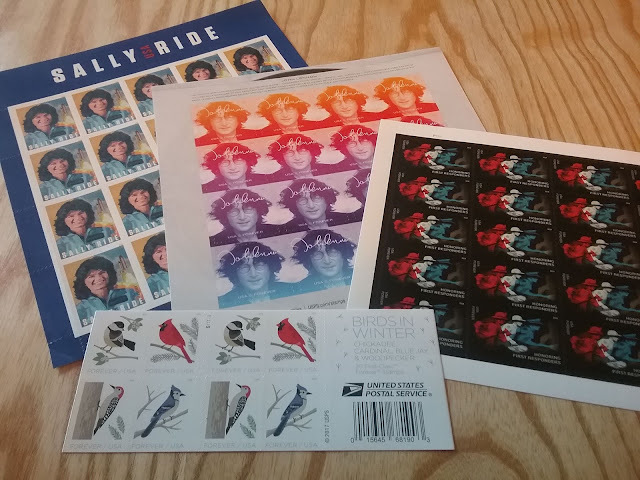 Postal rates for a first class letter will go up 5 cents on January 27, so now is a good time to buy some forever stamps. There are so many great stamp designs, it's hard to choose. They are like traveling art.